It seems like I start a new year still quite involved with the past year. Backing up photos and documents for the last quarter of the previous year and double checking that I haven’t missed anything or possibly backed up duplicates. I also remembered to back up Lightroom presets and blog posts too. My word for 2014 was Faith, but at the beginning of 2015, I felt like I had not gotten to where I hoped to be with my word. So I decided that another was in order. That worked out much better. My word for 2016 was Hear. I even tried a new way of working through my word. Apparently, it’s not the method at all because I find that I need to spend this year still with my word from last year. I’m OK with that. Another thing I wanted to accomplish last year was to get as proficient with Photoshop as I was with Photoshop Elements. That took a while and some on-line classes, but it is now checked off my To-Do list. Replacing that item for this year is to learn about all the other things that can be done with the program. Last year I joined a blogger friend, Cheryl, for Scripture and a Snapshot. 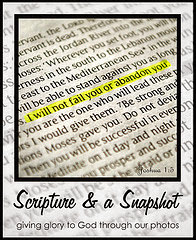 Each week I’ve been joining others on Instagram (#scriptureandasnapshot) with my Scripture and a Snapshot. It’s something I look forward weekly. And I happy to say it’s continuing on. You can learn more at Cheryl’s blog: http://cherylmccainphotography.com/. And, in addition, another group is doing the same on Pinterest. This one is organized by Jennifer and you can learn more about it on her blog http://www.glimpseofourlife.com/ where she also hosts a link-up for other bloggers. It's good to spend some time at the beginning of each new year reflecting on the past year and planning the new year. We love the time of reflection, as it causes us to once again see God's hand on our lives and makes us rejoice! Listen was my word for last year, too! Mine for this year is ABIDE, which actually has a lot to do with listening again. Thanks for visiting and for leaving a comment. I look forward to seeing how God uses our words in our lives. Thank-you, Kym. 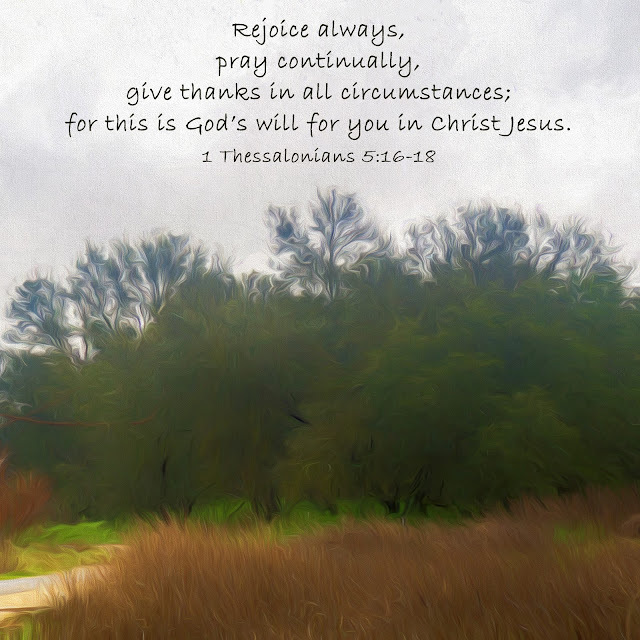 I agree with your thoughts on prayer and rejoicing.